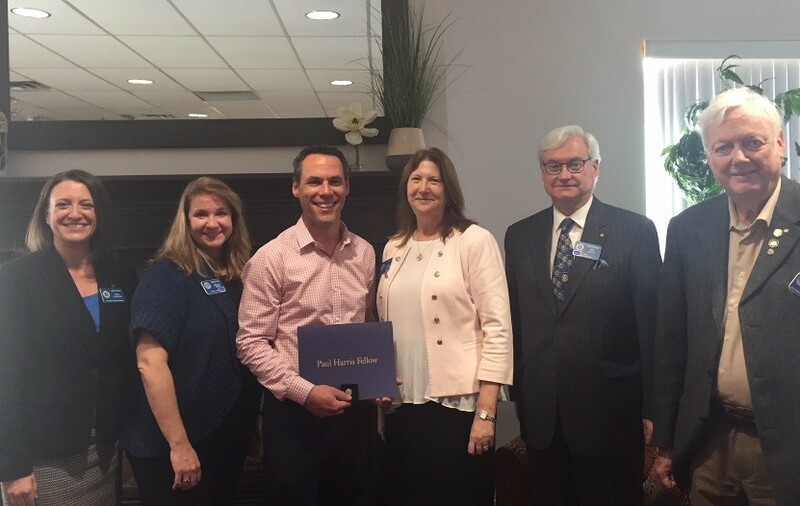 Nominated by Past President Sara Lawson, Tim Phillips of Berry Hill Foods is receiving this award in recognition of his ‘service above self’ approach to his work and giving back to community. 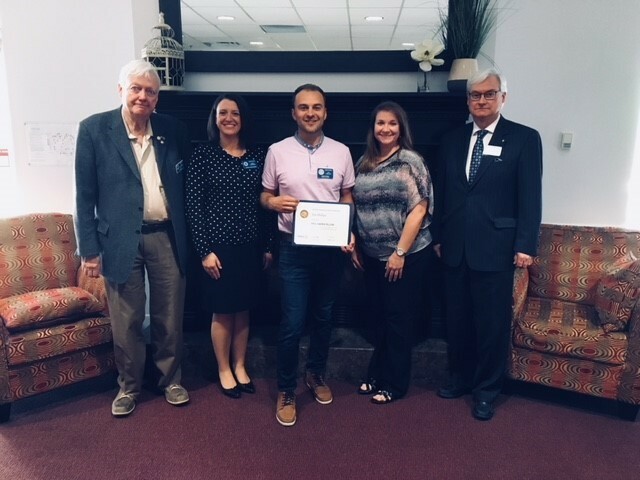 Now as a newly adopted member of the Rotary Club of Abbotsford he and Berry Hill Foods are continuing to expand their commitment. Chris Dominato VP of Finance at Woodtone Industries and the newest director on the Abbotsford Police Board was nominated by Past President Leslie McConnell and is equally deserving of this award exemplifying the spirit of giving, community involvement and representing an organization where giving back to community forms a big part of Woodtone’s corporate culture including being donors of a large Playhouse to help raise funds for the Starfish Pack Program to feed hungry school kids in Abbotsford.